The Antlers Restaurant is a Sault Ste. Marie restaurant in the Upper Peninsula. 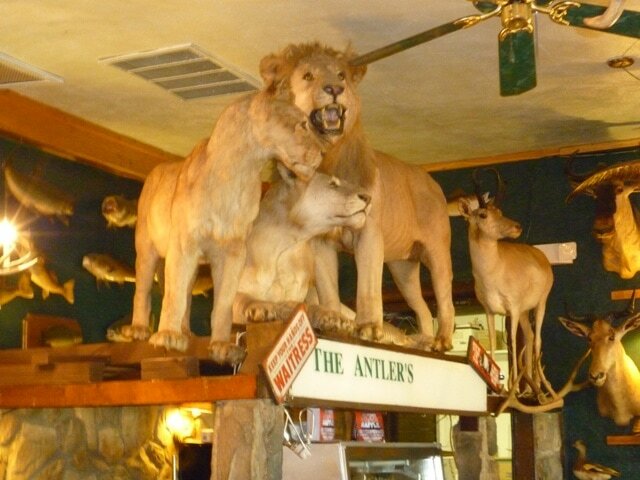 Landmark known for its 200 mounted animals & hunting lodge vibe doles out North Michigan fare.